Raptivity - Rapid Interactivity Building Tool: Internet Explorer compatibility for Raptivity interactions. How many of you prefer to use Internet Explorer? I am pretty sure the number is quite high. The fact is that despite many other browsers getting really popular, there is still a considerable chunk of users who prefer to use Internet Explorer. You can even refer to an interesting research which says that 23.9 % users across the globe are using IE and it is the second most used browser after Google Chrome (Click here to view the research findings). 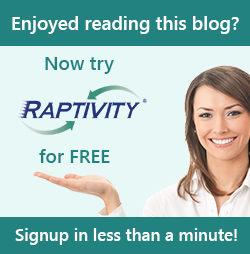 Most of the Raptivity customers also use Internet Explorer. So, team Raptivity has lately been working on making Raptivity’s HTML5 compatible for multiple browsers and specially Internet Explorer. While the output works perfectly well with browsers like chrome, it did not integrate really well with some of the old Internet Explorer versions. These versions did not support particular HTML5 components. Now, with the release of Internet Explorer 9.0 and then 10.0, HTML5 support for IE has improved considerably. With better support of HTML5, Raptivity team has made sure that about 100 of its interaction models are now compatible with Internet Explorer.